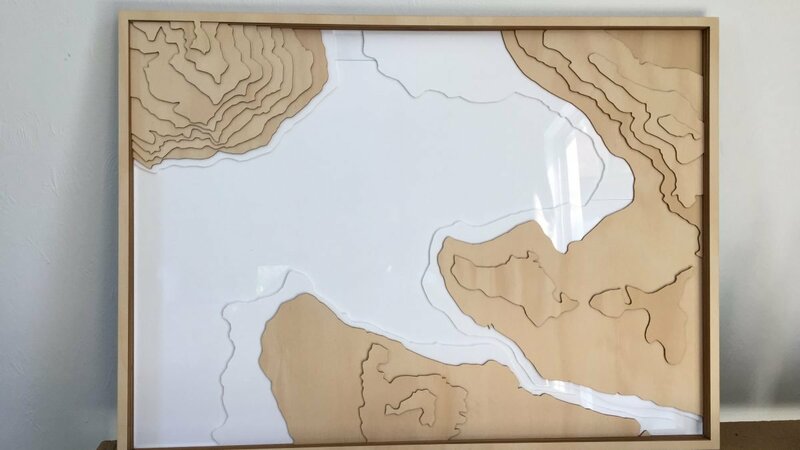 Fascinating lasercut three dimensional timber contour maps depicting the mountains and lakes of Wanaka, Queenstown and surrounding areas. 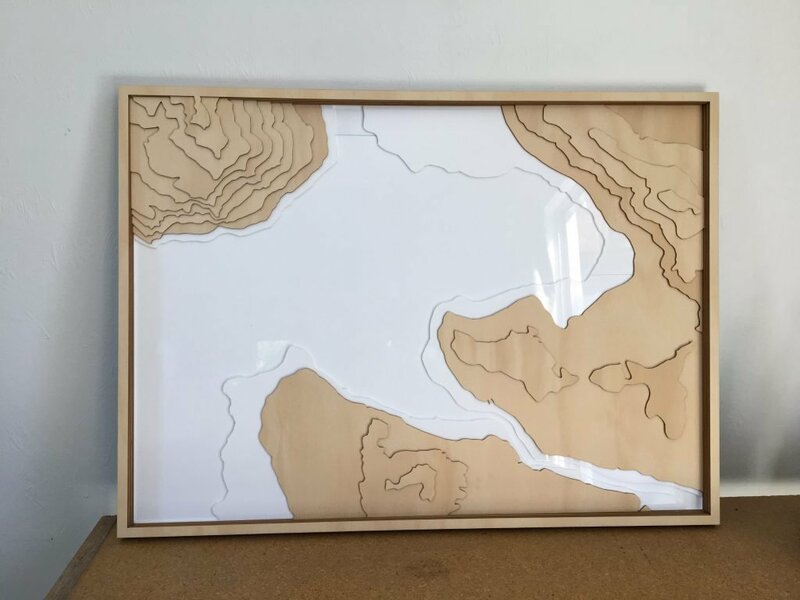 The intricate Birch timber contour maps are designed and hand assembled locally in Wanaka and come beautifully framed ready for hanging. Maps can be customised to feature any particular piece of Otago landscape the customer desires.